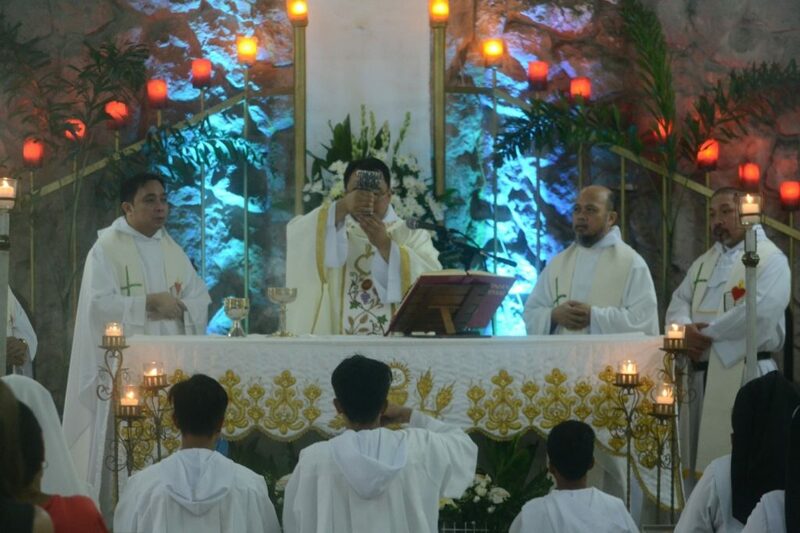 Antipolo City, RIZAL—After the nine-day festivity-like Novena Masses, which were sponsored by different Religious Institutions within Metro-Manila area, the community of St. Ezekiel Moreno Novitiate-Recoletos celebrated the 27th Solemnity of their very Patron, St. Ezekiel Moreno, last August 19, 2018. 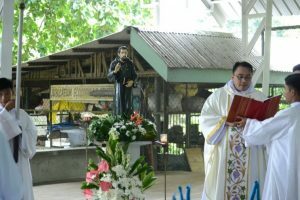 The celebration, which started at 10:00am, was opened first with a Eucharistic Celebration presided and headed by the Vicar of the Province and First Provincial Councilor, Fray Ian Anthony Espartero, OAR, who represented the Prior-Provincial who was into another major activity in Bohol, along with the community members themselves, Fray Paulino Dacanay, OAR, Fray Emeterio Buñao, OAR, Fray Roland Cepe, OAR, and Fray James Castello, OAR. Another Recollect Religious Friars present were Fray Joseph Philip Trayvilla, OAR, Fray Bernabe Dosdos, OAR, Fray Arnel Diaz, OAR, Fray Glynn Ortega, OAR, Fray Dominador Mercado, OAR, Fray Rey Campomanes, OAR, Fray Rey Tripulca, OAR, and Fray Benjamin Edobor, OAR. 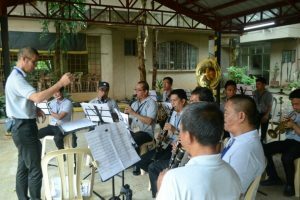 The Novices and Pre-Novices of the Province of St. Ezekiel Moreno also served as the chorale of the Eucharistic celebration. 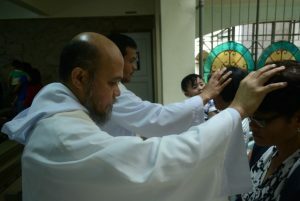 The Eucharistic celebration was immediately followed by a traditional procession of the patron’s image throughout the Seminary compound escorted mainly by the Confraternity of Augustinian Recollect Altar Servers (CARAS-Antipolo Chapter) and Antipolo City Band, which orchestrated songs of jubilee, making the celebration more grandeur and festivity.